It’s the most wonderful time of the year! But the onset of a month packed with holiday travel, countless family visits, late night baking for the company holiday bake sale, and too many glasses of bubbly can wreak havoc on any established skin care routine. So we’re sharing some practical tips to get you through the season with healthy, glowing skin! Chances are your nutritional intake isn’t going to be tops on your list of priorities when you’re sipping and socializing with coworkers at a catered event with an open bar. And that’s fine! Pick your battles, and counter the effects of a carefree evening with a post party ritual that detoxes and cleanses your system and your skin. Boost your vitamin B and iron intake the morning after to replace that much needed energy you spent cutting up a rug at the company year end gala. A fruit salad featuring melons and bananas is both yummy and effective. Then, use our Elastin & Beta Carotene Mask, and let the specialized blend of Beta-Carotene, elastin peptides, and powerful antioxidants penetrate the skin to stimulate circulation, promote new cell growth, and heal damaged skin cells. 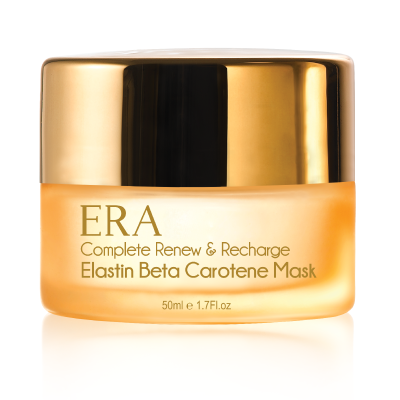 The Elastin & Beta Carotene Mask also alleviates inflammation and increases the skin’s moisture levels - key after a wild night of karaoke and spiked hot chocolate! There are going to be a ton of unhealthy temptations throughout the festive season, and it’s often hard to bypass the treats, whether it’s because that chocolate hazelnut cake looks so amazing, or your great aunt Joan won’t take no for an answer. That makes it more important than ever to maintain a clean diet when you’re not in those situations. Make sure any groceries you buy during the holiday season are guilt-free - there will be plenty of moments for indulgence this month without adding extra temptations in your kitchen. Remember, healthy glowing skin is as much about what you put in your body as what you put on your skin. 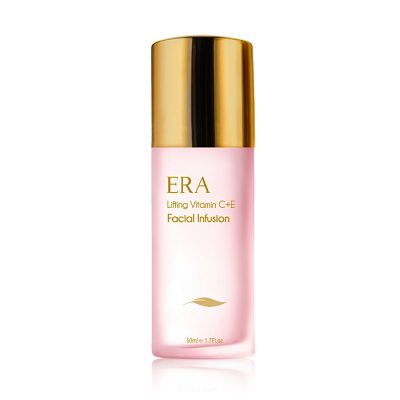 When you do indulge, however, it can sometimes manifest itself in breakouts and blemishes on your skin. Our Triple Action Thermal Mask instantly heats upon contact with the skin, helping to open and intensively clean the pores with bioactive compounds that help to purify and refine the skin by absorbing excess oils, drawing out pore-clogging dirt, and lifting dead skin cells from the skin’s surface. Chances are you’ll be triple-booked and exhausted by December 15, and that exhaustion is can trigger the first telltale sign of unhealthy skin - loss of radiance and glow. You can battle that fatigue head on by adding more fibres to your meals (salads, nuts, whole grains), eating vegetables that help you to produce more energy (broccoli, cauliflower, kale), and keeping hydrated with plenty of water and maybe a little less coffee. Consider taking a vitamin supplement if you don’t already. Our Lifting Vitamin C+E Facial Infusion can also deliver essential nutrients directly into the skin, lavishing the skin with concentrated doses of vitamins and essential oils and protecting the skin from oxidative stress and environmental damage. Here’s to a thousand wishes for happiness and health for you and yours this season. Happy Holidays!